Tree roots can be a big problem for your home plumbing. Over time sewer pipes can become cracked and seriously damaged by aggressive tree roots. When roots get into your sewer pipe they can lead to clogs that back up waste in your pipes and lead to need for a sewer pipe replacement. What is Rootx Tree Removal Solution? Rootx is an eco-friendly, affordable tree root removal solution. Rootx uses a unique foaming action that stops roots in their tracks! Rootx is a two part formula that not only kills the roots, but stops them from re-growing. 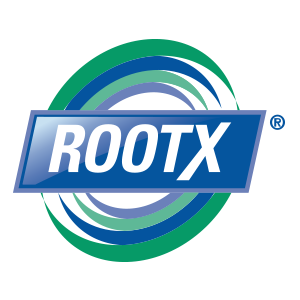 Rootx is more effective than many other solutions on the market thanks to its ability to reach the top of the pipe, where 90% of root intrusion occurs. Rootx is approved by the EPA and has been used for over 20 years to control weed growth in flower beds and aquatic environments. Rootx can be used in both sanitary and storm pipe without having an adverse affect on the surrounding environment. Degreasing agents are also used to tackle the grease and fat surrounding the tree roots, Rootx also includes the aquatic herbicide “Dichlobenil” which attacks the root cells, helping to solve your root problem. Allied Drain Cleaning provide an annual maintenance program to help remove tree roots from your sewer and pipes.